A few more day’s before the Holidays! (and I can’t wait) besides getting festive outfits ready and waiting for some last gifts to come in the mail I’m on full force wrapping gifts and nearly packed already all of them 🙂 These ideas and DIY’s are perfect for transforming the somewhat boring brown paper into something new and I love how easy these are to make! Another option I love is to use marble wallpaper and evergreens as little festive add ons. 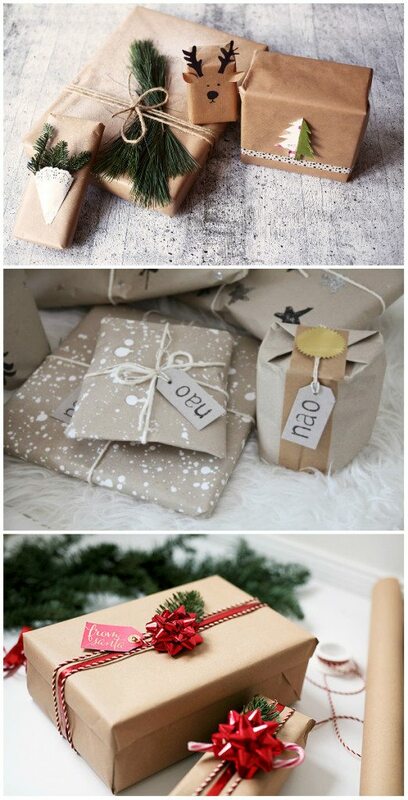 It’s always nice to do some crafts and packing them with lovely selfmade or self-upgraded wrapping paper. 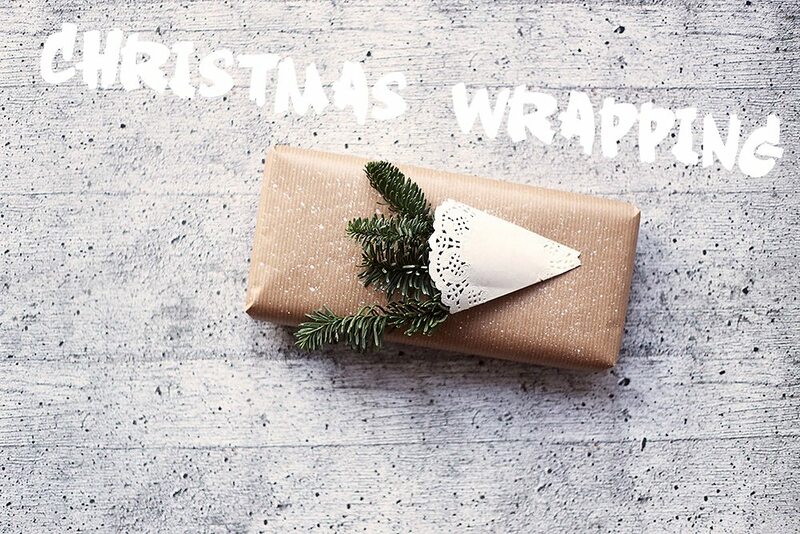 I hope you like the inspirational ideas 🙂 Happy Wrapping!